American Haircuts Services are provided by haircutters trained in the art of cutting men’s hair. 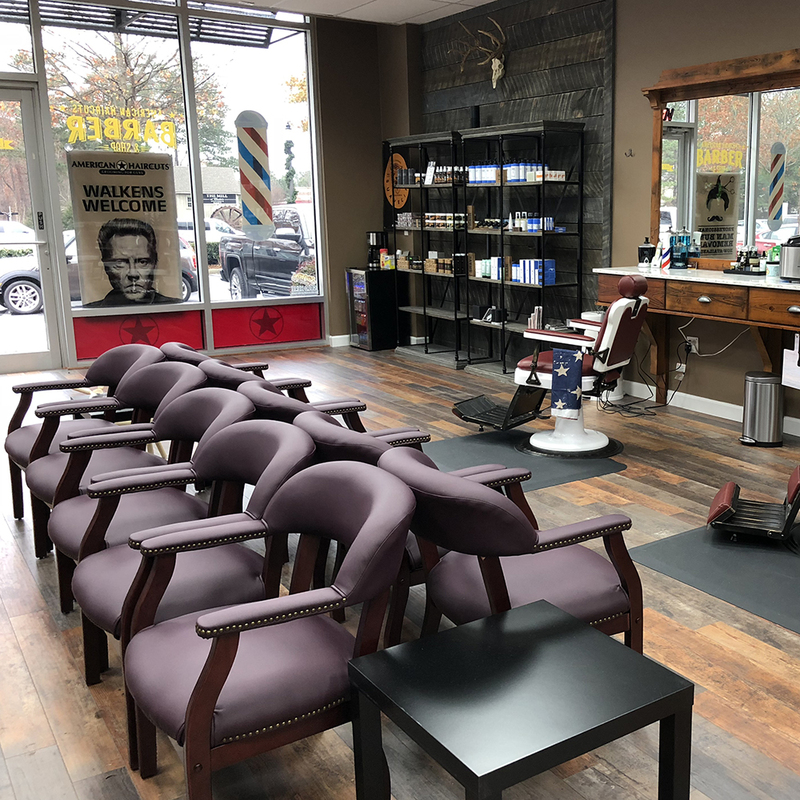 From traditional barber styles to trendy haircuts for men, we’ve got you covered. The Classic Haircut includes a great cut, hot lather neck shave, and our signature hot towel neck massage! Layers of hot towels, rich lather, a professional shave, toner and moisturizer. It’s like a 30 minute vacation. Treat yourself. The Classic Shave is performed with a traditional double-edge razor and is great for sensitive skin. Combine a Classic Haircut and Classic Shave and save a few bucks. This service will make you feel like a new man! The Classic Shave is performed with a traditional double-edge razor and is great for sensitive skin. Layers of hot towels, rich lather, a professional shave, toner and moisturizer. It’s like a 30 minute vacation. Treat yourself. The Master Shave is performed with a traditional straight razor by selected barbers only. Combine a Classic Haircut and Master Shave and save a few bucks. This service will make you feel like a new man! The Master Shave is performed with a traditional straight razor by selected barbers only. For clients with a beard, we offer a hot lather outline and shave of the neck and cheek area. It’s like a mini version of our classic shave. Half the face, half the time, half the price of a full shave – but it feels so good! Keep that beard looking sharp with our professional beard trim and shaping. Our shampoo includes a mint conditioning treatment and scalp massage. It really feels great. We suggest having a shampoo after your haircut to leave you feeling refreshed. *Why do some barbers charge more? Good question. At American Haircuts, we only hire great barbers. But, some of our barbers have been around longer and have less availability so they charge more. We do this to allow them to continue to grow and earn more. 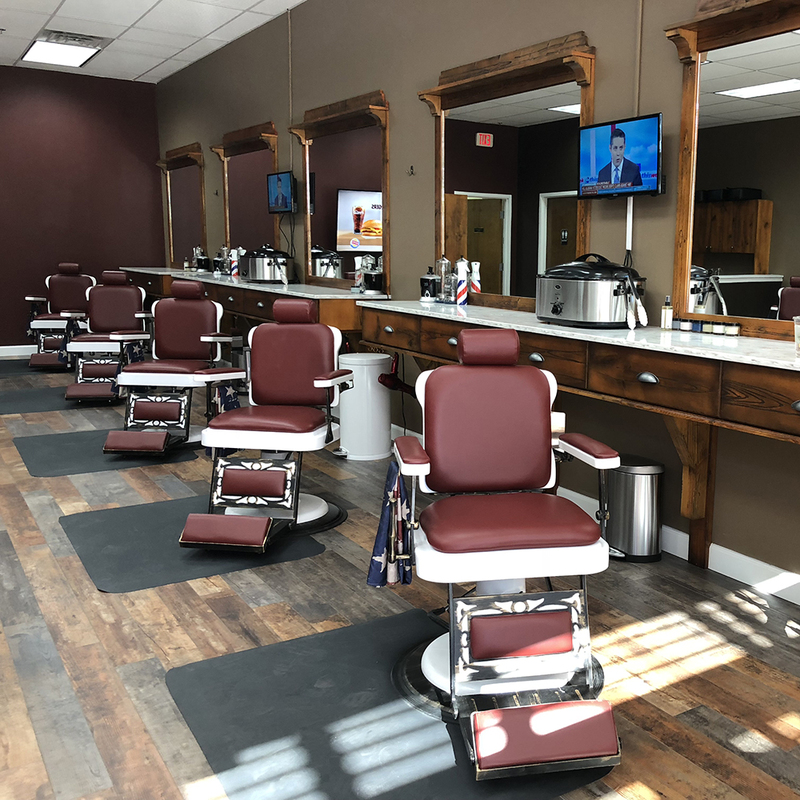 No matter which barber you choose, you’ll get a great haircut at American Haircuts every time. We guarantee it.